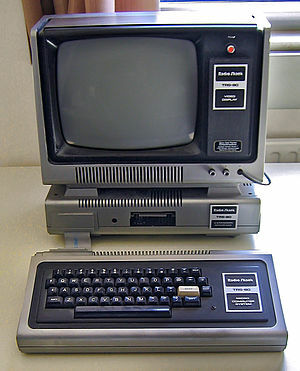 The TRS-80 is a computer made by Tandy Corporation sold by Radio Shack. ↑ Forster, Winnie (2005). The encyclopedia of consoles, handhelds & home computers 1972–2005. GAMEPLAN. p. 17. ISBN 3-00-015359-4. This page was last changed on 13 August 2018, at 18:35.